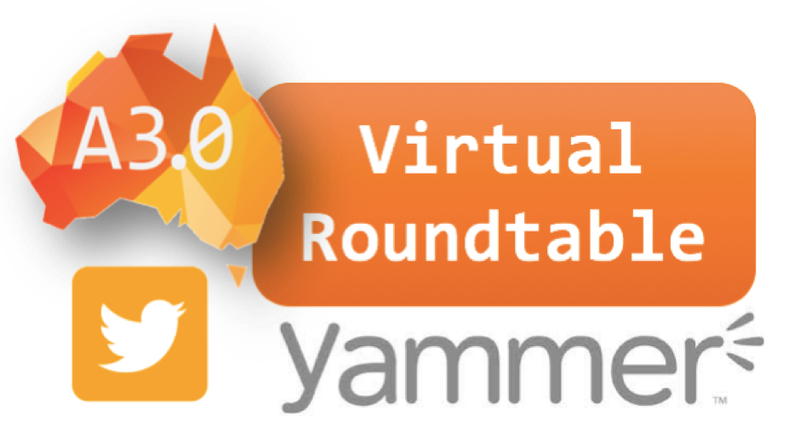 The Australia 3.0 Virtual Round-table provides a secure and private space for Australia 3.0 participants to submit opinions, research, suggestions, and documents. This is a unique opportunity for all participants to contribute their ideas over an extended period in advance of the Forum and so allow informed discussion on the day of the Forum. For assistance setting up and maintaining your Yammer Account view please refer to the guides below. Australia 3.0 Virtual Roundtable Overview The Australia 3.0 Forum will annually present key themes and outcomes gathered from the Australia 3.0 Virtual Roundtable, an online collaborative discussion.